This book was so over-hyped and it seemed like everyone was reading it so I picked it up too. Well the start was decent and then it got very bad. Incredibly boring bad. I understood that it was meant to illustrate time passing and the fact that the protagonist wasn't making progress but holly molly was that a boring second half. I almost gave up on it because of that. I'm glad that I didn't though because it becomes pretty good at the end. The parts with the Wennerström story (especially in the last half of the book) were pretty interesting and you could really tell that the author is a journalist. The final chapters were some of the best. But the affirmation that I read on some ads for the book and some blurbs that oohh the female main character (which also seems pretty much an exaggeration at this point because she wasn't present most of the book) is so unique and such a great female lead etc. is not at all true. The first problem is that she simply drops out of the book after the initial few chapters and does not appear for more than 3-4 sentences at a time until almost half of the book. And what annoyed me even more was that instead of focusing on the title character (which was what sparked my main interest, a smart and strong female character) the story starts to focus on Mikael Blomkvist. And painfully detailing every dull and boring minute of his boring days in that boring of a bore town of Hedestad. Seriously I do not care that he went for coffee in the café of the town and that he bought the newspaper and then went for a jog. I really don't. 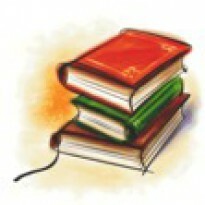 I really-really want to read about the title character who was kind of brutally raped a few pages ago. Why is that not more interesting? Or at least relevant to the story? Again I get that it can symbolize time passing and him not advancing in the investigation but that part was incredibly boring. And this after an interesting start with a lot of potential was kind of disappointing. Also the so much praised title character is presented in a strange manner. So if you fell for the advertising and are hoping for some brilliant character study of a female hacker, this isn't the story for you. Larsson is first and foremost a good journalist. And he writes like one. The parts of the story with the development of the Wennerström case and the final summary of the Harriet case are written very well. 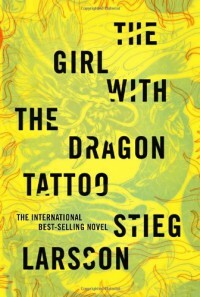 But the love story and the characterization of the characters and especially the thoughts of Lisbeth Salander are incredibly weak. I couldn't buy her attitudes and her reactions like those of a well written fictional character let alone someone real. Even if I suspend my disbelief some of those were simply corny as hell and really pulled you out of the story. And that brings me to the ending. I wasn't a big fan of the instalove but I could go for it after they spent more time together at the end of the book, but the last scene is something out of a bad soap opera and it really spoiled whole the book for me. For this alone it looses at least one star from the rating. That said it's not a bad story and it's worth a read. But much more for the sake of a good story about the maffia told from the perspective of a journalist and as a moral story about the ethical responsibilities of journalists and the mass-media (and about their corruption) from one journalist to others, but not at all a love story or a character study.